Zearn is a supplemental mathematics program for grades K-5 that allows students to work in centers while the teacher works with small groups after whole group instruction. Zearn provides lessons taught by enthusiastic and engaging online teachers and includes practice exercises and drills. 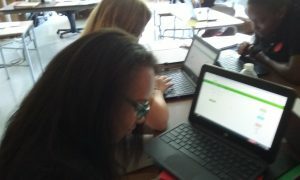 Highlander's lower school uses Zearn in conjunction with the Engage NY math curriculum to provide a consistent progression of skills for all students. Zearn even has a free program that students and parents can access from home! Click here to learn more. 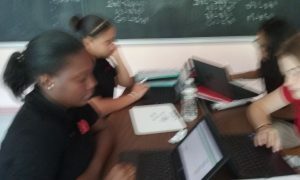 The Summit Learning Program is used in 7th and 8th grade at Highlander Charter School. This program is accessible through the Summit Learning Platform, which provides students and teachers access to comprehensive curriculum aligned to the Common Core State Standards. The platform allows for personalized learning, providing students with the opportunity to set goals, track progress, learn content at their own pace through a myriad of self-selected resources, and complete projects that require demonstration of deep learning. Through this program, teachers guide students to become self-directed learners with strong habits of success. To learn more about Summit, check out www.summitlearning.org. Highlander Charter School builds a powerful mathematics foundation, regardless of students’ education background or learning profile. Individualized programs empower students to master grade level focal points while simultaneously addressing gaps and providing enrichment based on the identified needs of each student. Students are empowered to build superior problem solving skills and engage in cooperative learning in order to create lifelong mathematics learning.